A prodigiously talented trombonist, composer, and bandleader, Seattle native son (and Roosevelt High School graduate) Andy Clausen has been making quite a splash in recent years. A graduate of the prestigious jazz program at The Juilliard School in New York, the former recipient of Earshot Jazz’s Emerging Artist of the Year Award has kept busy performing with a broad range of jazz and adventurous rock and pop royalty, including Bill Frisell, Wynton Marsalis, Ron Carter, Kurt Elling, Joe Lovano, Dave Douglas, Feist, and My Brightest Diamond. Clausen’s latest unit is called Shutter Project, and the quintet will be performing new music from a forthcoming album. Along with Clausen, Shutter Project features The Westerlies’ trumpet ace Riley Mulherkar, the deep classical roots of cellist Mitch Lyon, and the eclectic, exploratory twin guitar tandem of Gregory Uhlmann and Seattle’s Gregg Belisle- Chi. 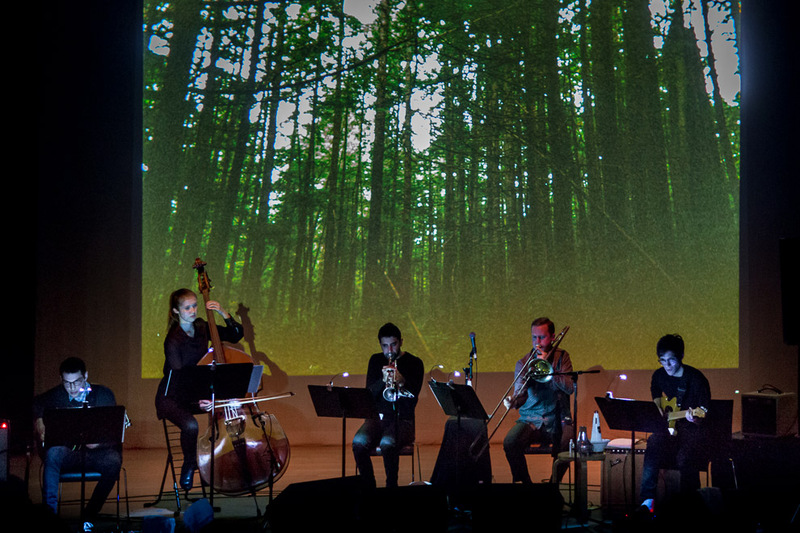 Shutter Project aims to present a new spin at outlining what defines a cutting-edge chamber music ensemble in 2015, exploring the notion of individual expression in a written structure. Strings and brass combine in collective compositional and improvisatory interplay, as hints of folk music blend with classical and indie rock into a cinematic Americana soundtrack, all without the conventional structure of linear solos. Check out Shutter Project live and hear what makes Andy Clausen an essential new voice in contemporary music.